Not that I’m complaining! 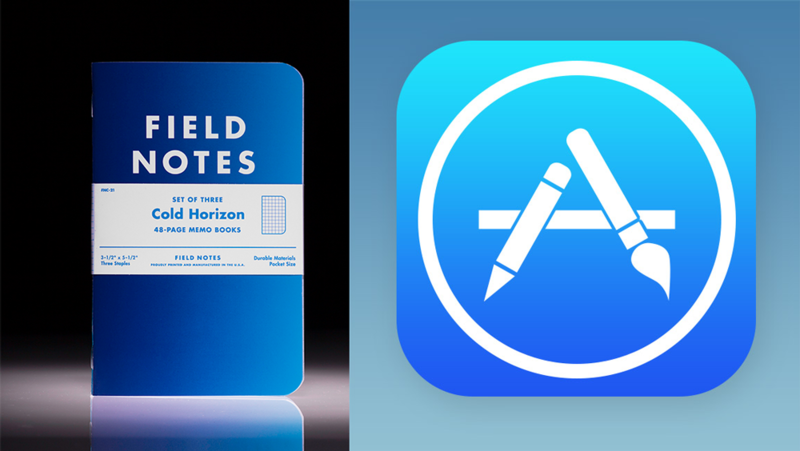 I’m a big fan of both this new Field Notes edition, and of Apple’s iOS 7 design. “Cold Horizon” is literally a very flat design—with that glossy cover, there’s really no toothy texture to it. And while that gorgeous Futura doesn’t really compare to an equally gorgeous Helvetica Neue, still. It’s interesting because iOS 7 was a departure from the “skeuomorphic” look of the previous design, to get away from making it look like it’s a physical environment. In a funny turn of events, the physical environment is redesigned to look like it! What do you think? Do you see it?